Aminzadeh, B., Torkiharchegani, M., ahmadi, A., Najafian Gorgi, M. (2014). Modeling of Climate Effects on Sugar Beet Growth in Kurdistan Province. International Journal of Advanced Biological and Biomedical Research, 2(4), 1217-1225. Behroz Aminzadeh; Moslem Torkiharchegani; Azad ahmadi; Mohammad Reza Najafian Gorgi. "Modeling of Climate Effects on Sugar Beet Growth in Kurdistan Province". 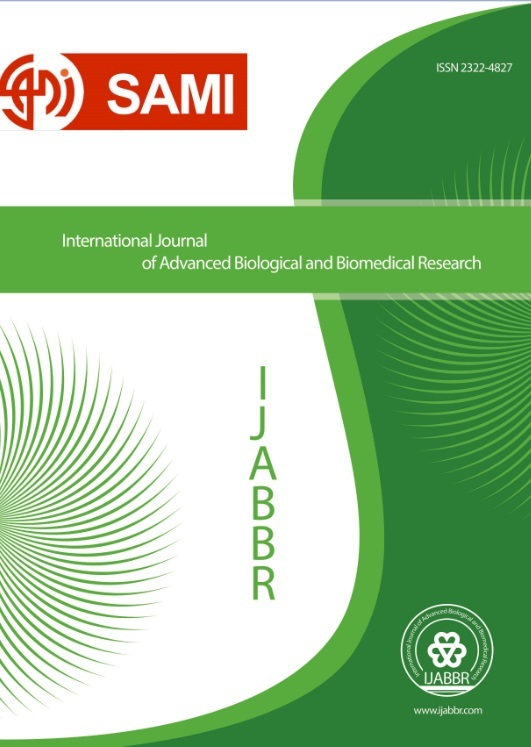 International Journal of Advanced Biological and Biomedical Research, 2, 4, 2014, 1217-1225. Aminzadeh, B., Torkiharchegani, M., ahmadi, A., Najafian Gorgi, M. (2014). 'Modeling of Climate Effects on Sugar Beet Growth in Kurdistan Province', International Journal of Advanced Biological and Biomedical Research, 2(4), pp. 1217-1225. Aminzadeh, B., Torkiharchegani, M., ahmadi, A., Najafian Gorgi, M. Modeling of Climate Effects on Sugar Beet Growth in Kurdistan Province. International Journal of Advanced Biological and Biomedical Research, 2014; 2(4): 1217-1225. Climate is one of the most important factors that influence the quality and quantity of crops. Understanding the natural features of any region, especially about the climate, can play a major role in making plans and land use planning. Sugar beet, is one of the major industrial plants, that in addition to producing one of the most fundamental basic needs of society, namely sugar, it can have other valuable byproducts. This study was conducted to evaluate the agro-climate of cultivation of sugar beet in Kurdistan province, using the daily temperature over a period of 10 years. Agro-climatic calculations and analysis were performed using the degree of active days index, thermal gradients and deviations from optimal conditions methods. In this study, data of the synoptic meteorological stations in Kurdistan province (daily and monthly and annual reports) were received from National Meteorological Organization. This research is done in a descriptive statistics way. Data analysis is performed using phenological index (GDD) method. The results show that based on analysis of thermal gradients and deviations from optimal conditions at different altitudes, Saghez station, amongst all selected stations, has more suitable conditions for cultivation. Based on the temperature thresholds of phenological stages of sugar beet, climatic calendar would be in form of sugar beet sowing season late in March and crop harvest season in late October.